When it comes to travel, I've never really travelled long-haul, 4-5 hour flights is the longest I've ever been on and I've always stuck close-ish to home. It's always been something on my 'bucket list' to visit every single country in Europe. Europe is home to a huge 50 countries; a few of those whose territory is considered to be in both Europe and Asia. Each country offers something new as there's such a variety of culture, traditions, cuisines and history, which is what makes Europe such an exciting and interesting place to explore. I've got some pretty exciting and beautiful cities on my bucket list and I'm hoping that 2019 ticks off a few of those for me. A city full of culture where East meets West, Istanbul connects Asia with Europe. Istanbul is the most developed and largest city of Turkey that offers such stunning scenery and rich historic legacy, it would be such a fantastic city to explore. I'd also love to visit the Spice Bazaar as this is where you’ll find everything imaginable, and me being a foodie, this would be an absolute dream. And of course a trip to Istanbul wouldn't be complete without a Bosphorus cruise to take in the amazing views of the city. Berlin is a modern city full of culture and history. Packed with a long history and a very trendy contemporary art scene, there are countless things to do in Berlin. There's a diverse mix of sights, with the Brandenburg Gate, Berlin Zoo, the Holocaust Memorial, the Reichstag, the Berlin Wall and East Side Gallery and Checkpoint Charlie to name just a few. It's definitely a city not to be missed off your list. With a rich history, stunning skyline and exciting nightlife, Budapest is a great destination to suit all travel tastes. The city is full of architecture, famous for its Art Nouveau, as well as plenty of Gothic, Renaissance, Classicist and Baroque structures across the city. If you need somewhere to relax, Budapest is filled with beautiful thermal baths, all with healing properties and stunning architecture that cannot be missed. From St Stephen’s Basilica, to the Chain Bridge and the Hungarian Parliament Building, these are some of the sights that I definitely want to see. To me, Budapest is one Instagrammable city that I cannot wait to see for myself. I'm sure this one is a bit of a shock as it wouldn't be something for everyone, but Edinburgh is a beautiful city with a fusion of architecture, shopping and dining. The iconic and main attraction of Edinburgh Castle has to be the highlight of the city for me. It's architecture and history is so captivating and exciting, I would definitely need to visit. 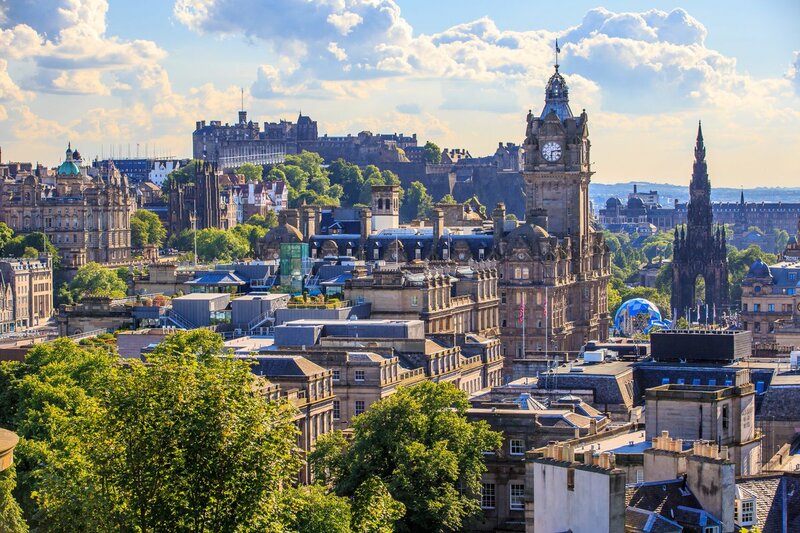 Climbing up the Calton Hill and Arthur's Seat would also be on my to-do list to take in the amazing view over Edinburgh and its surroundings areas. A trip to Edinburgh would also need you to walk The Royal Mile, one of the most touristy places of the city, located in the old town. I've previously visited Calella, but for me, Barcelona has everything you need for the perfect city break. Full of culture, leisure, sport, shopping and nightlife, there's definitely something for everyone here and every type of holiday you would like. It also boasts a mild climate all year round making it the perfect place to visit whenever you're free. 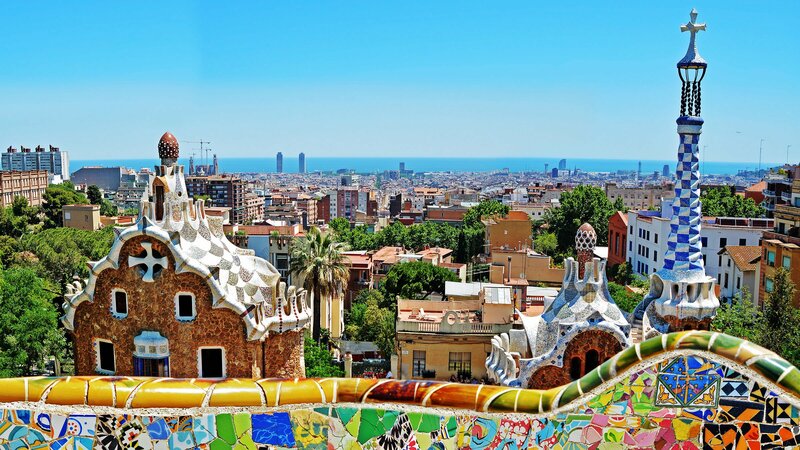 Located on the coast, there are miles of beaches which makes Barcelona perfect for a sun, sea and sand getaway! Spanish cuisine is to die for and I love the famous dishes of tapas, where you can pick and choose small dishes, allowing you to taste absolutely everything, which you should not miss! Places of interest for me are the Sagrada Familia, Park Güell and FC Barcelonas Camp Nou. Athens is an ancient city full of history and wonder, and the birthplace of philosophy and democracy, and is one of the oldest cities on earth. Attractions wise, The Acropolis is an ancient site in the Western world definitely worth a visit, along with the Parthenon, it stands over Athens giving you breath-taking 360 degree views of the city. If you read my Zakynthos post, you'll know that I absolutely love Greek food and that alone is reason enough to plan a city break to Athens. The list of mouth-watering Greek dishes is endless, from Souvlakis to Moussakas, and Tszaziki and fresh Greek Salads, you'll be spoilt for choice. AS well as super trendy rooftop bars and a huge coffee culture, Athens is a thriving city that is perfect for a city break. Located in the heart of Europe, Prague is another city full of history and culture. Nicknamed City of a Hundred Spires, Prague’s skyline is pretty epic, filled with picturesque views, it would be any Instagrammers photo heaven. I'm eager to snap away! Walking tours seem quite popular and I think it's definitely a smart way to guide yourself around a new city, learn some history, and come across some of the main attractions. With Prague Castle and Charles Bridge being some top tourist attractions I'd like to explore to appreciate the diversity of the city’s architecture. 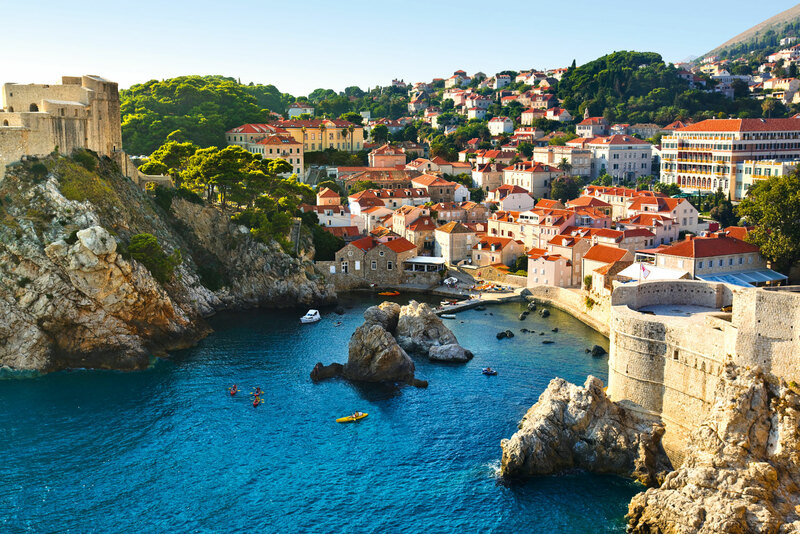 Referred to as 'the pearl of the Adriatic', and located in the middle of the Dalmatian Coast, Dubrovnik has been somewhere I have wanted to go for years. It's a place full of history and beauty. Walking around the old town would be like stepping straight back into the past, with stunning architecture and learning all the history from the medieval era. Croatian cuisine features grilled or barbecued fish and seafood, which I absolutely love and could eat everyday. Along with the picturesque views and beautiful weather, Dubrovnik is a truly amazing travel destination that I can't wait to explore. Where would your perfect European city break destination be? 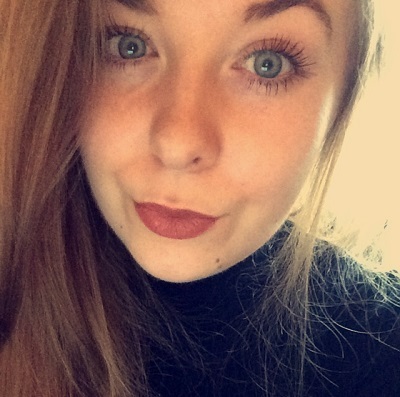 Have you visited any of the cities I have included in my round-up? If you saw my last travel adventure diary blog post, I jetted off to the beautiful island of Zakynthos, Greece, and I loved sharing my travel itinerary and my recommendations from the trip. I thought I would produce a new blog post as I've just recently got back from a short trip to Milan, Italy. My sister and her husband recently moved to a new house in Castel San Giovanni, so that was the inspiration behind the trip. I wanted to create a similar travel diary for this, so I get to share what I got up to, places I explored and of course a few of my photographs from the trip. My trip to Milan, Italy, started off early on Monday morning. My dad, my brother and I headed for the airport, (London Gatwick), to catch an Easyjet flight to Milan Linate. The flight took around 2 hours, but it definitely seemed much much shorter! Once arriving at Linate airport, we took a shuttle bus to Milan Lambrate Station. This was around a 15 minute drive. Here is where I purchased the tickets and was able to catch a train to Castel San Giovanni where my sister lives. On this evening, Milan was very incredibly stormy. Heavy rain, thunder and lightning! This caused a major disruptions to the train service and many trains were cancelled. We waited nearly 2 hours!! Once the train arrived at Lambrate station, it took just over an hour to reach Castel San Giovanni. I even managed a little nap on the train! Once arriving at my sisters new house, we tucked in to some delicious food. She plated up a quick aperitivo; a selection of Italian meats, cheeses, roasted peppers, bread and chutneys. This was then followed by a gorgeous slow cooked Beef and Vegetable stew. It was delicious and perfect for a cold stormy evening. For the rest of the evening, I was joined in bed with Luna! Isn't she the cutest! After a long nights sleep, I was able to go outside and enjoy the view from the new house. You could see for miles and miles. Beautiful autumnal colours of greens and yellows in the distance. It was simply breathtaking. For lunch, we had a quick and easy pasta dish. As a huge pasta lover, I finished this in no time at all. The dish consisted of small filled tortellini, it was with some kind of cured Italian Ham, with a creamy cheese sauce and a hint of fresh chillies, finished off with a sprinkling of Parmesan cheese. Delicious! Once lunch was finished, we got ourselves ready and headed off out into the centre of Castel San Giovanni; a small town in the province of Piacenza. We stopped off for a quick coffee at a small cafe. Doesn't it look simply delicious?! We spent around an hour strolling around the town centre. Going into various little shops. They had just put some super cute Christmas lights on display, making it feel super festive. For dinner, we then drove to a Japanese Sushi restaurant (Il Ristorante Giapponese Tokio) in Castel San Giovanni. The price for this was less than 25 euros per person, which was such a great price as there was SO much to choose from. Plus it's all-you-can-eat, so you can imagine how much we all ordered. I couldn't move once we had finished! We ordered this INCREDIBLE Sushi boat. Even though there was just 5 of us, this boat was for just 3 people, and there was more than enough to keep everyone occupied. Packed with plenty of delicious Sushi Nigiri, Sashimi and Gunken with Prawns, Tuna, Salmon and White Fish. My favourite was definitely the two types of Sushi with Tuna and Avocado. They were amazing! 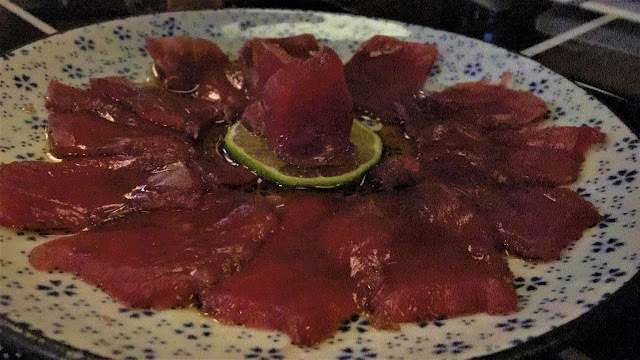 We also tucked in to Tempura Prawns, Spring Rolls, Vegetable Noodles, Beef Fillet with a spicy pepper sauce, Salmon and Tuna Sashimi and much much more! I had never eaten so much Sushi in my life before. This restaurant was incredible, and I can't wait to go back! Lunchtime came around quite quickly, and of course you can guess what I had. More pasta! This time it was a super quick Pesto pasta with Parmesan cheese. Such an easy dish to make, with very few ingredients. Simply grab some pasta, green pesto, salt, pepper, Olive oil and your preferred cheese, and you're good to go. You can image this took me 0.5 seconds to scoff down! So good and so tasty! We then spent the afternoon teaching my sister to play 'Canasta' - a card game originating from Uruguay, South America. From around 7pm, we headed out to a local town hall. As it was Halloween, there was a local festival taking place; 'Festa della Zucca' - Festival of the Pumpkin. They have a variety of different traditional dishes, all containing pumpkin in some form. Naturally I went for the Ravioli di Zucca - Pumpkin Ravioli, with a mountain of fresh Parmesan Cheese! For dessert, I have a really interesting combination of Chocolate Cake with a thin layer of Pumpkin puree in the middle. Sounds odd, I know, but it was incredibly delicious, that I could have eaten 2 or 3 more! We headed out to the town of Borgonovo; a small town in the province of Piacenza. We headed to a local pub/restaurant, Locanda Stazione, to have a taste of the super affordable lunch menu they have to offer. Included in the menu, you could start your meal with a pasta dish (primo), followed by a meat/fish dish (secondo) from the set menu. Alongside this, you were able to choose a drink to go with your food, as well as being given a bottle of water, and finishing the meal with an Italian coffee. All for just 15 euros per person! A primo is the first course of an Italian lunch, and you guessed it, my eyes lit up when I saw they had Penne Arrabiata on the set menu. One of my all time favourite pasta dishes. This dish had such a sweet and fiery tomato sauce, topped off with a heavy sprinkling of Parmesan cheese. For secondo, this course including a small section of different meats; lamb, pork, beef, chicken and sausage. I accompanied this with a small green side salad, dressed in Olive Oil and Balsamic Vinegar. After eating far too much at lunchtime, we all went for a little walk around the town. We popped into a small cake shop, 'La Cremeria', and purchased this beautiful cake with fresh whipped cream, chocolate and walnuts. It was simply stunning and cost only 20 euros! I could have eaten the whole thing! For dinner, my sister cooked a traditional Italian dish of 'Cotechino con Lenticchie' - a hearty dish of sausage and lentils that is usually served on New Year’s Eve in Italy. This meal also included potatoes, several varieties of beans and some fresh chilli. This dish was so delicious, super filling and perfect for a cold evening. We enjoyed it with lots of crusty bread for soaking up the sauce. In the evening, we headed to a traditional restaurant - Casa Galli, in Ziano Piacentino. A home style cooking restaurant that had plenty to offer. Simple dishes that are local for the region, but made with a loving touch. We started off our meal with the usual Antipasto with various cured Italian meats, roasted peppers, freshly baked bread, quiche slices and some Russian salad. We also tried some homemade red wine, but I wasn't much of a fan. It was just too sharp and acidic for me. More pasta! This time we had two varieties of tortellini - my favourite! These were fresh and homemade stuffed with Ricotta & Spinach and one with Pumpkin. They were some of the more tastiest pastas I have ever eaten. So fresh, smooth and they just melted in the mouth. I would have been very happy just to eat this all night! We also got to try a typical Italian dish from the region - 'Pisarei e faso' - which was little dumplings with mixed beans. Moving on to the main course, there was the option to choose Pork, Duck or Chicken. I obviously went for the traditional roasted Chicken with sides of roast potatoes and fresh steamed vegetables. Very simple, but very tasty! After my main course, I was already completely full up. But now it was time for dessert, and there is ALWAYS room for dessert! The lovely lady at the restaurant brought us various homemade desserts, including a super fresh and zingy grapefruit semifreddo - semi-frozen dessert bursting with sharp fresh grapefruit. This was incredible! We then had a plate of homemade cakes brought to the table. A lovely chocolate cake, chocolate 'salami' slices and another cake made with some fruit chutney. Saturday was sadly the day we had to go home. We got up quite early to pack everything up and fill our cases. We took a train from Piacenza to Milan Centrale Station, which took around 40 minutes. From there, we took the airport shuttle bus to Linate Airport. Once we arrived at Linate airport, and gone through security, I popped into the shops and picked up various different chocolates for myself and friends. When heading towards the gate, I came across this amazing piece of artwork, and can you believe it was completely made from LEGO. It was incredible to look at and I'm sure it would have taken days, if not weeks to build! Of course I was quite hungry and decided to have Mcdonalds for lunch. A large Big Mac meal went down a treat! We then boarded the flight back to London Gatwick, which I managed to get around 1 hours sleep on, which was nice. Once landing back in the UK, we took the train home and had a nice evening relaxing. Spending the day travelling makes you so incredibly tired, so I treated myself to Domino's Pizza for dinner. That concludes my travel diary and how I spent 144 Hours in Castel San Giovanni, Milan. I honestly can't wait to go back. My mouths already watering at the sight of that incredible Sushi boat from the Japanese restaurant, and the homemade tortellini pasta at the restaurant in Ziano Piacentino! Have you visited Milan before? Where is your next travel destination? With Springtime ahead, I'm dreaming already of my next Summer Holiday. An ideal chance at a getaway from the hustle and bustle of city life, and swapping it for some sun, sea and sand. If you're looking for a great place to book your next vacation, Holiday Gems might be the one for you. A great website that has everything you need to book your next holiday destination, with your flights, hotels and transfers included, Holiday Gems offers an independent and impartial travel service tailored to your individual needs. Let's rewind to May 2017. I visited the beautiful, picturesque Greek island of Zakynthos, however you may know it as Zante, for a relaxing few days. Located in the Ionian Sea, Zakynthos offers plenty of activities for all ages, relaxing by the beach, boat tours or even a trip to Laganas for your next night out, a perfect destination for your next holiday, with bright blue seas and perfectly soft sand, Zakynthos is Instagram heaven. On my visit, I stayed in the beautiful beach town of Kalamaki, situated on the islands south coast. An ideal destination for those wanting a relaxed and peaceful getaway, but also giving you the chance to visit places including Zakynthos Town and Laganas, only a short taxi ride away. I stayed at the Kalamaki Beach Hotel, an amazing, small hotel located within 2.5 acres of beautiful landscaped gardens with magnificent views over the lonian sea, and only a few footsteps away from the gorgeous sandy beaches. Kalamaki Beach Hotel boasts a great poolside snack bar, an on-site taverna and cocktail bar, swimming pool and sun loungers too. One excursion that we stumbled upon was horse riding with Nanas Horses; A small family run business catering for both beginners and expert horse riders, allowing you to enjoy some outdoor activity, whilst taking in the stunning scenery around Kalamaki.We booked to go to Nana's Horse riding through the hotel we stayed at, and were kindly picked up and dropped off back, even though it was only a short car ride away. We opted for a 1.5 hour long trip, which saw us ride through fields, alongside the road and ending upon the beach at sunset, which was an absolutely amazing experience which beautiful views. So if you have an afternoon spare, I would highly recommend a short horse riding trip, a great holiday experience and a great way to take in the picturesque views of Kalamaki. One of our days consisted of a tour of the beautiful island, allowing us to view some of the amazing sights of Zakynthos and learn all about history and culture of the island. One stop along the island saw us having breathtaking, panoramic views over Zakynthos Town. Further along the tour, we stopped off at Strani Hill, overlooking the plains of the island, walking though the olive trees, and arriving at the statue of Dionysios Solomos, a Greek poet from Zakynthos. I also visited the world famous Navagio Shipwreck Beach, a tucked away little cove in the north of the island, with a beautiful pristine beach and crystal clear waters probably one of the most famous beach in Greece and can only be accessed by boat. The iconic image of an abandoned, rusty shipwreck washed upon the pure white sands is something not to be missed when visiting Zakynthos. On the boat ride back to the port, we spent some time the Keri Caves, a group of sea caves and rock arches on the coast of Zakynthos, a place with some of the deepest blue coloured water I have ever seen. Lastly, is to mention the absolutely amazing Greek food that I had tasted during my stay. Kalamaki hosts some amazing restaurants and places to get some delicious Greek cuisine. We dined at the Kalamaki Beach Hotel on-site Greek Taverna, tucking in to some tasty Greek Gyros, Greek Meatballs, Spinach and Feta Parcels and Homemade Red Pepper Hummus, washed down with a fruity Strawberry Mojito! I also dined at the Paolo Restaurant in Kalamaki, an amazing, warm welcomed place to eat, with affordable prices and super friendly staff. I opted for the traditional dish of Souvlaki; a popular Greek fast food consisting of small pieces of meat grilled on a skewer. Another restaurant I dined in on my trip was The Family Restaurant, with a fabulous meal and great hospitality, it's one not to miss out on. One night we headed into Laganas, another beach resort on the island famous for its nightlife; a definite place for the youngsters with various lively bars and tavernas, it's a must visit. A quick food stop in Peri Heaven, Zante's equivalent of Nando's. Amazing food, great portions and really affordable. Afterwards, we headed to the lovely Angels Bar for some quick cocktails, a great place to start your night out if you will be heading to the Laganas strip. So whether you're looking on planning your summer holiday, or would just like a short weekend break, Holiday Gems has a wide range of low cost holidays to choose from, with an amazing selection of destinations available to suit all tastes and budgets, you can book your next break to suit all your preferences, without breaking the bank!